I realize this headline might come off as a bit controversial. There is so much that goes into branding, how can copywriting be the key to success? I’ll tell you why. Without a message, you have no brand at all. If you aren’t able to write down your message and define it, then you aren’t able to get across who your company is and what you offer. 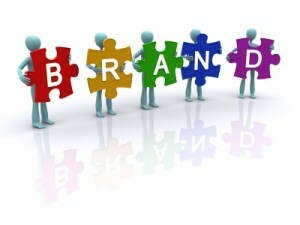 When most businesses brand, they focus on the logo, color scheme, and tagline. I argue that a well-crafted brand is all of the above plus a website and the marketing materials that go along with it, which is where the copywrting comes into play. A great copywriter should be able to sit down with you and ask a few simple questions about your business, take those answers and craft your message. From there, you will understand your business’s characteristics. 1. What sets you apart? 2.	Who is your ideal customer? Many businesses are surprised they don’t know the answers off the top of their heads. They seem like such simple questions, but often it can be like trying to define a word that you know what it means but can’t figure out how to describe it to others. You might know the definition, but if nobody else does, what good does that do you? In all of the copy, the brand’s message needs to be reinforced again and again. For example, if after answering the questions and defining the message, it turns out the core concept of your doggy grooming business is offering incredible customer service and only organic products, this needs to be said again and again in the copy. Every part of the copy needs to address customer service and organic. From the CEO’s profile to the tag line that goes on the business cards. Creating great brand identity is not just in the design, but the really important parts lie in the words that accompany the design. Do you agree or disagree with my assertion that copy is more important than design? I’d love to know your thoughts. I know this might sound stupid. You are considering copywriting for a business. How does this apply if I run a blog and treat that as my business. Do you think I need copywriting to brand my blog? I absolutely do. Branding your blog will be an important way to let readers know what they can expect when they come to you. Are you funny? Informative? Both? Figure out what you want to be known for and then frame all your writing with that knowledge. Hope this helps! Really good post Rebecca… I know those questions seem simple when presented to you but most people answer by giving you generic answers. Like their ideal customer would be anyone who may need help, etc. And what sets you apart again is sometimes a tricky question for many. All very good points I might add. Thanks for this information, very eye opening.